Eugenio was dating Silvana Prince. She is one of the actresses. Their relationship runs during the late 80s or the early 90s. Silvana also gave birth to their son, Vadhir Derbez in February 1991. Vadhir is now one of the Mexican actor and singer. But Eugenio and Silvana got separated. Eugenio after that started to date Mexican actress Victoria Ruffo in 1992. Their relationship to the next level when they married in 1992. The same year, she gave birth to their son, José Eduardo Derbez. They called time on their relationship in 1996 and the divorce was finalized in 1997. The actor started dating actress Dalilah Polanco in 2003. Their relationship lasted for about 3 years before she released a public statement in October 2006 to confirm that they were no longer together. He has previously dated Mexican actress Gabriela Michel. They also have a daughter named Aislinn Derbez. Various rumors were spread of Derbez dating singer Alessandra Rosaldo. After the rumor, a picture was viral kissing by the Mexican tabloids. It proves that there was something going on between them. After some, they made their relationship public. They dating for nearly 6 years. And married in a lavish wedding ceremony in July 2012. In August 2014, she gave birth to a baby girl, Aitana. 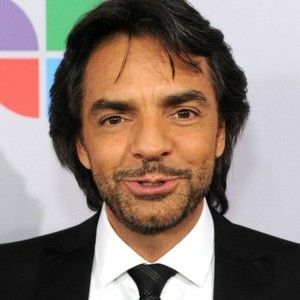 1 Who is Eugenio Derbez? Eugenio is one of the popular Mexican actor, comedian, and filmmaker. The actor is famous for playing the lead role in the comedy-drama movie, Instructions Not Included. The movie was the first Spanish language movie to earn $44 million in the US and $99 million worldwide in box office collections. Eugenio also appears in the popular TV shows such as XHDRBZ, Vecinos, Derbez en Cuando, and La Familia P. Luche. Derbez was born on September 02, 1961 in Milpa Alta, Mexico. His father’a name is Eugenio González Salas who is a Publicist. And mother’s name is Silvia Derbez who is an Actress. Eugenio uses to go Mexican Institute of Cinematography and Theater. He graduates with a degree in film directing. The actor then graduated from Televisa Acting School with an acting degree. He has also taken dance, singing, and music classes. Mexican star actor Eugenio Derbez is renown for creating shows like Vecinos and XDHRBZ. From an early age, he decided to build a career in acting. At the age of 12, he featured in a telenovela as an extra. After completion of his schooling, he joined an acting class and worked in theatres from the age of 19. He kept on working in the theatres until he landed some significant meaningful roles in Mexican shows. Soon, he landed with regular roles in shows like Ra, Ra!, Cachun, Cachun and the popular children’s show titled En Familia con Chabelo. In addition to working in Mexican shows, he also appeared on the silver screen and also became famous as a renowned host. He rose to fame after creating his own show titled XHDRBZ in the year 2003. In addition to a producer, he also acted in the show. Some of his noted roles include La Misma Luna and La Familia P. Luche. His performance is well received in the Broadway play titled Latinologues. He also appeared alongside star actor Adam Sandler in the film titled Jack & Jill. He was last seen in the Mexican film titled How to Be a Latin Lover. His upcoming films are The Nutcracker and the Four Realms and Geostorm. In 2016, Eugenio cooperates with the production of Lionsgate/Pantelion which features How to Be a Latin Lover. In the movie he starres with Salma Hayek, Rob Lowe, Kristen Bell, Raquel Welch, Rob Riggle, Linda Lavin and Rob Huebel. The movie is written by Chris Spain and Jon Zack and directed by Ken Marino. Lastly, the film releases in the U.S. on April 28, 2017, and May 5, 2017, in Mexico. Eugenio has received various awards for his works. He receives Premios Juventud: Supernova Award in 2013. The actor also receives Fénix Film Awards: Exhibitors Award in 2014 for Instructions Not Included. His awards include TVyNovelas Awards ‘Person of the Year Awar’ in the 2013 year. Platino Award for Best Actor in 2014 for his work in Instructions Not Included. Lastly, he gets Premio Juventud for Best Actor in 2014. The actor is popular and has played on various of the good movies. He must have good earning and his net worth is $30 million. Eugenio’s death rumors were spread. However, in August 2018, the report confirms a complete hoax and said that it is just the latest in a string of fake celebrity death reports. The actor is best known for his roles in Instructions Not Included or Under the Same Moon and is alive and well. Derbez stands tall with the height of 5 ft 10½ inches(179 cm). The actor weighs 74 kg (163 lbs). He has light brown eye color and dark brown colored hair. Eugenio is active on various of the social media and has various no. of followers. He uses Facebook and has more than 15M followers. The actor is active on Instagram with 6.5M followers. And so he uses Twitter and has 9.91M followers. Also get to know more about the famous Television personality, Traci Bingham. Mauricio Ochmann Married to his Longterm Girlfriend Aislinn Derbez!! Love is In the Air and their Romantic and their Lovely Love Story! Is Anna Faris pregnant? Did Anna Faris and her husband Chris Pratt have marital problems? Read on for more…!